Families, neighborhoods, sports teams and humans tend to group with other humans for support, diversion, and relationships. 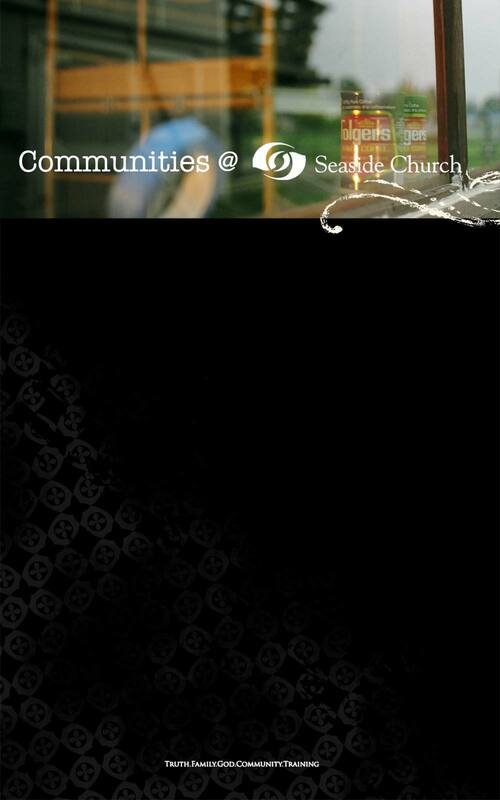 At Seaside, we desire to cultivate Communities on a mission. To accomplish this mission - the mission of the proclamation gospel of Jesus Christ both in our lives and in the lives of others - Communities offer encouragement, prayer, teaching, and spiritual growth with the intention that members will branch out and replicate these efforts - disciples making disciples, worshippers of God leading others to become worshippers of God.